The continued dominance of the cloud, and the continued shortage of talent paint a perplexing picture of the state of IT next year. Over the past month, IDC and Forrester Research, two of the largest and most venerable analyst firms, have released 2016 predictions – and many readers will find their reports disquieting indeed (unfortunately, neither IDC’s FutureScape 2016 or Forrester’s Predictions 2016: The Cloud Accelerates are freely available to the general public). I believe that we’re in the beginning stages of an IT landscape transformation and, from these reports, it appears these firms share this belief. 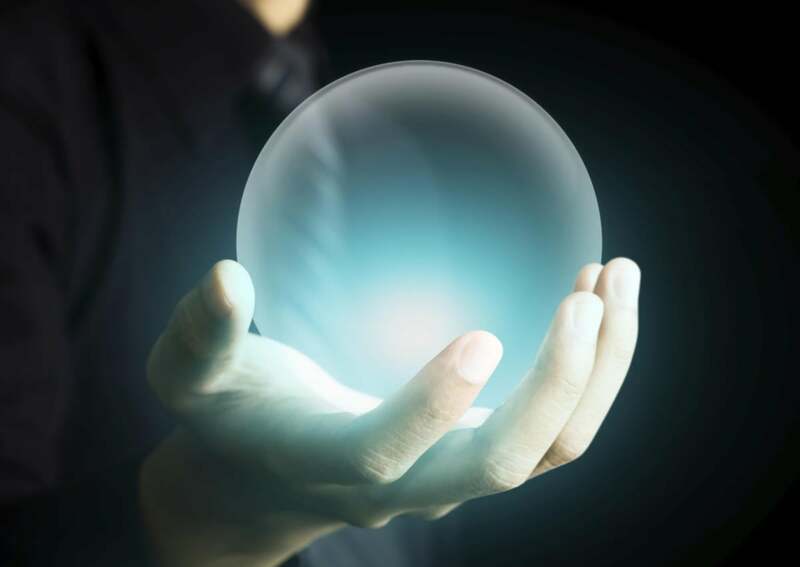 Moreover, they contain predictions that should frighten most vendors. Simply stated, this landscape transformation is bringing a new set of dominant vendors to the fore to the disadvantage of legacy players. According to IDC and Forrester, the next five years will bring immense change and disruption to the IT industry. I see this every day, but my sense is most people in the industry fail to grasp just how quickly things are changing. It’s not often that analyst firms paint such a bleak picture. After all, much of their business comes from vendors seeking guidance about user needs, market opportunities, and technology trends. So announcing that most of them are in for hard times doesn’t seem like a strategy to generate more business. On the other hand, providing overly rosy predictions does no one any good; moreover, tweaking predictions in a more optimistic direction that subsequently fails to materialize risks reputational damage, which is bad for long-term analyst business survival. So, it’s safe to say, for these firms to be so blunt in their assessments means they feel the trends are so profound that they cannot be ignored, denied, or whitewashed. It couldn’t be put more clearly: In its report, IDC states that “By 2020, More than 30 percent of the IT Vendors Will Not Exist as We Know Them Today.” In other words, nearly one-third of today’s vendors will be out of business, stripped-down shells of their former selves, or combined via mergers. We’re already seeing this, of course. HP just cleaved itself into two companies. Citrix announced it will offload the GotoMeeting business unit and lay off 10 percent of its workforce as well. And, of course, Dell is in the midst of buying (or perhaps not) EMC. However, this is just the warmup for what promises to be a wrenching time for the entire spectrum of legacy vendors – and the largest ones are the most at risk. It’s been clear for some time that they’re in trouble – no growth, missed earnings, excuses ranging from lousy salespeople to unfavorable exchange rates. The fact that growth has disappeared for these vendors is a leading indicator that things are about to get much, much worse. The thing is, this isn’t a failure of execution, to be fixed with a CEO change or a large layoff. It’s a sign that the nature of the industry is changing, and these vendors aren’t delivering tomorrow’s solutions. The restructuring of the existing industry will be accelerated by a new phenomenon in the tech world – private equity. Those of us who live in Silicon Valley smugly throw around the term disruption, and imply that any fallout is just collateral damage. The truth is that this restructuring will be extended, painful, disheartening – and inevitable. The major public cloud providers will gain strength, with Amazon, IBM SoftLayer, and Microsoft capturing a greater share of the business cloud services market. Despite excellent technology and scale, Google will only begin to develop momentum in large-enterprise business in 2016. Even with innovative new players like Aliyun and DigitalOcean emerging, the number of options for general infrastructure-as-a-service (IaaS) cloud services and cloud management software will be much smaller at the end of 2016 than the beginning. I recall seeing a tweet from Lydia Leong (a savvy cloud analyst at Gartner, Twitter handle @cloudpundit) in which she said she is fielding inquiries from cloud service providers trying to figure out how to sunset their offerings. Forrester goes on to say that users should “standardize on the cloud leaders.” In other words, we’ve reached the musical chairs stage of the CSP market, and you want to commit to providers sure to, so to speak, have a place to sit. This is, of course, a self-fulfilling prophecy – as users turn to the major providers, smaller providers end up with less revenue, thus forcing service shutdown, driving more business to the large providers … and so it goes. This is not unexpected. In its 2014 predictions (see my discussion here), IDC said that the public CSP market would end up with six to eight players of scale, with remaining providers fighting over scraps. Like all capital-intensive industries, this is turning into a battle of who has the biggest checkbook, and 2016 will see many current providers conclude their bank balance just isn’t big enough to stay in the market. Big data is a phrase on everyone’s lips, and it has made data scientist, according to the Harvard Business Review, the sexiest job of the 21st century. This intense interest reflects the growing understanding that analyzing large amounts of data can offer insights previously unavailable or, worse, ignored in favor of “gut feel” and intuition. What’s remarkable is how widely big data is being applied. There does not seem to be any area that big data, and its associated fields like machine learning and artificial intelligence, is not being applied. Big data is transforming drug discovery, healthcare, education, language translation, employment recruiting … in fact, it might be easier to list industries and tasks big data isn’t transforming than to list those it is. But according to IDC, big data is only getting started. Today, only 1 percent of all apps use cognitive services; by 2018 (in other words, in three years), 50 percent will. Essentially, analytics will be embedded in every application, used to facilitate functionality or convenience. One of the major challenges of big data is, naturally enough, how much storage it requires. This is an area the big cloud providers are jumping on. You’ve undoubtedly heard of IBM’s Watson, but Google, Microsoft, and AWS have all rolled out machine learning services as well as access to a range of very large datasets that can be used for analytics. One obvious implication of this trend is that it once again makes the large providers more attractive to the disadvantage of smaller CSPs that cannot make the investment to host machine learning services. IDC’s prediction may be too optimistic in terms of timing, but it’s clear that big data will be an important area for enterprise IT for the foreseeable future. By the End of 2017, Two-Thirds of the CEOs of Global 2000 Enterprises Will Have Digital Transformation at the Center of Their Corporate Strategy. By 2018, Enterprises Pursuing DX Strategies Will More than Double Software Development Capabilities; 2/3 of Their Coders Will Focus on Strategic DX Apps/Services. But that’s the situation most IT organizations will find themselves over the next few years. While many companies outsourced their initial forays into mobile applications, there’s no way that you can build a digital enterprise on the back of external consultancies. Furthermore, even if you could, no company could afford to do so. Being a digital enterprise is so critical to the future of every company that relying on an external party, and living with the inevitable inefficiencies, false starts, and missed communications, would be too dangerous. Instead, IT will become the core driver of “how business does business.” The responsibility -- and expectations -- will be high. For those CIOs who rise to the challenge, it will be a heady time. Those unable to fulfill this role will face a gloomy future as they are discarded in favor of someone -- anyone -- seemingly better suited to the task at hand. Make no mistake, as companies move toward their digital future, IT will be leading the way. Of course, CIOs can’t do it on their own. They require an organization staffed with people capable of implementing the applications that will make the company a digital enterprise. By 2017, over 50 percent of organizations' IT spending will be for 3rd platform technologies, solutions, and services, rising to over 60 percent by 2020. For a discussion of the third platform, see my blog post here. The bottom line is that the difference between “enterprise IT” and “technology vendor” will blur as both seek to implement technology solutions that form the basis of how their company operates. Therefore, one thing you can expect to see is a brutal war for developers (which I wrote about two years ago here) as enterprise IT shops and tech companies battle for a limited pool of next-generation talent. Frankly, I think this will require a significant mind shift on the part of both enterprise IT organizations as well as the larger entities of which they are part. IT has traditionally been viewed as a cost center with a focus on keeping a lid on budgets – and one place that enterprise IT has traditionally held the line on is salaries. In all too many enterprise IT organizations, developers are seen as odd-behaving interchangeable commodities. The emerging reality is that developers are critical resources, who will increasingly be able to write their own ticket. And don’t imagine that your IT organization is protected because it’s located outside Silicon Valley. The demand for talent by valley companies is so high that they are more and more frequently placing centers of talent wherever it happens to be located – and that could very well be wherever you’re located. In conclusion, both Forrester and IDC’s predictions are unusually direct statements of a very different world of IT, one in which software infuses every part of an enterprise and technical talent is critical. If I hadn’t read the reports, I would have been surprised to be told about their bluntness; reading them, you can see that it will be an incredibly tumultuous time for the industry. I wonder how their briefings are going these days?